Model: Warranty: 1 years free warranty. A free second year is available upon registration at www. 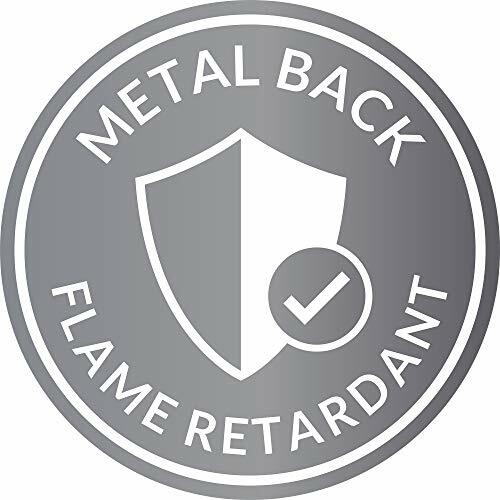 Productcare. Co. Uk. 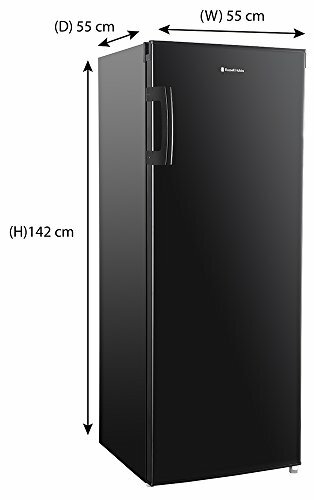 This 142cm tall Russell Hobbs larder is styling a smart black design and comes with highly practical features. The door is reversible and the easy to use handle make it easy for the whole family to use, whilst being out of reach of small children. 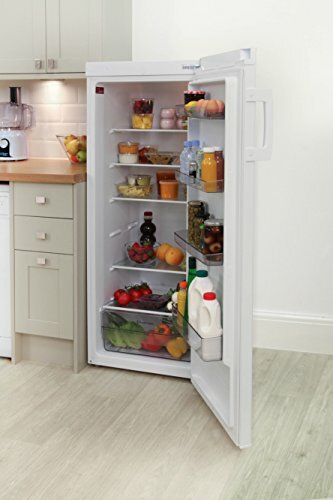 This practical larder fridge has an impressive 235 Litre capacity fridge, offering you more than enough space for a full weeks' worth of food. There are four fixed door racks, 4 adjustable/removable glass shelves and 1 storage compartment at the base. This tall fridge allows you to arrange your item in a way that best suits you. 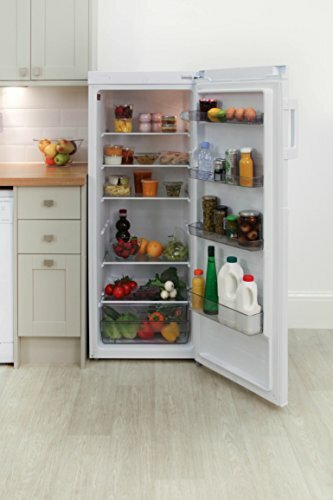 It has great accessibility and the large open space allows you to see the full contents of your fridge. There is 1 egg tray included with the fridge to add extra convenience. 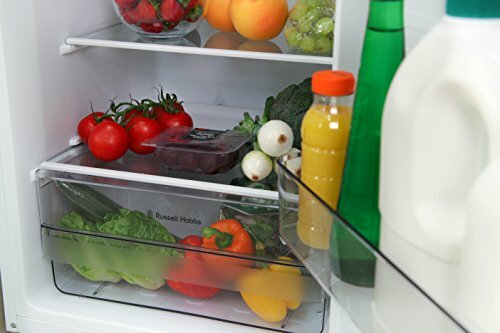 This fridge has an adjustable thermostat giving you the utmost convenience to ensure your food is stored exactly as you want it. 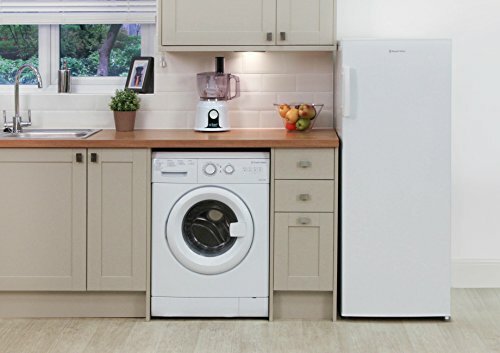 Should you have uneven floors, The Russell Hobbs RH55LF142B comes with adjustable feet, so you can ensure your appliance is correctly balanced when installed.